1. I have to thank the person who gave it to me. 2. I have to be able to write Long Comments and use Scripture when needed. 3. I have to share at least five reasons why I write long comments. 4. 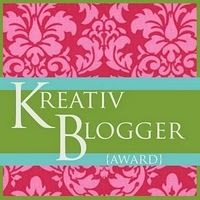 I have to attach the Symbol for this award to my Blog. 1. I would like to thank Melody ??? 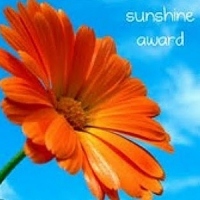 for this Award she is very close to me and knows all my secrets but that is OK because she only tells everybody the good ones, such as why I like to write long Comments. 2. Yes I can write Long comments when needed and use Scripture to confirm them. 1. I’m use to doing this on Australian Blogs. 2. I like to give Detail. 3. Confirmation of Scripture makes then Longer. 4. I write as I feel lead to share God’s Truth, which is what Blogging is all about for me and others but in doing this Jesus said … we will make friends and enemies. 5. I appreciate receiving more than just a few words and we are to do unto others what we would like for ourselves. 4. 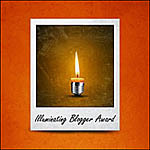 I have to now attach the Symbol for this award to my Blog. Help! what am I going to do the Symbol is too big, I used the latest Computer Technology, I tried shrinking it but you couldn’t read the writing, I let the widget size it, but it was fuzzy, I decreased it by using only half but I lost the message, I thought of using something else but that is not how it was meant to be. I decided not to worry about this rule and just delete it too hard to make it work anyway, it don’t fit I really don’t want it on my sidebar, sure I could put it somewhere else but it’s too much trouble, anyway it’s really plain and old-fashioned, no sparks or flashing lights!… Oh well I will keep trying, a rule is a rule!! 1. Paul – The Overcomer – very much into The Truth with lots of wordage. 2. Matthew – righteous and Free – sticks to the Law but in freedom- detail. 3. Hannah – Justice, Grace and Truth – under Authority and chosen. 4. John – Love and Commitment – Big on Love and Unity- has the last word. 5. Timothy – Trusting in Faith – Trusts regardless of the Circumstances. Thank you for sharing this Award with Me. This entry was posted in Encouragement Awards. Bookmark the permalink. 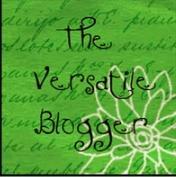 Good stuff ,you can make up for those like me who are not long bloggers. It`s always good to read ,and glad i didn’t have to write it. I guess all our differences go to make up the body. Thanks for your skills Anne. Wow Ron what a wonderful encouragement I really do deserve that Award maybe I will Create another one for the shortest comment after all…. 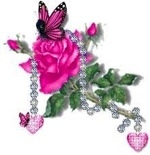 Jesus wept ….is very short but please Love don’t leave a comment on one of my posts saying Ron wept! Hmmm… A warrior of Truth, so length doesn’t matter, Truth does! Thank you my friend and fellow warrior ? perhaps a message about what it means to be a warrior for the Lord would really uplift and encourage us, I haven’t heard that expression being used in Australia I can take a guess what it means but it would be good to know where it originated from..
Hi Dunna, I answered from the bottom up so I didn’t realise you called me a warrior too perhaps we could create a Award for being one but as I said to Isaiah were did it origenate from I haven’t heard it in Australia before except as a cartoon character.